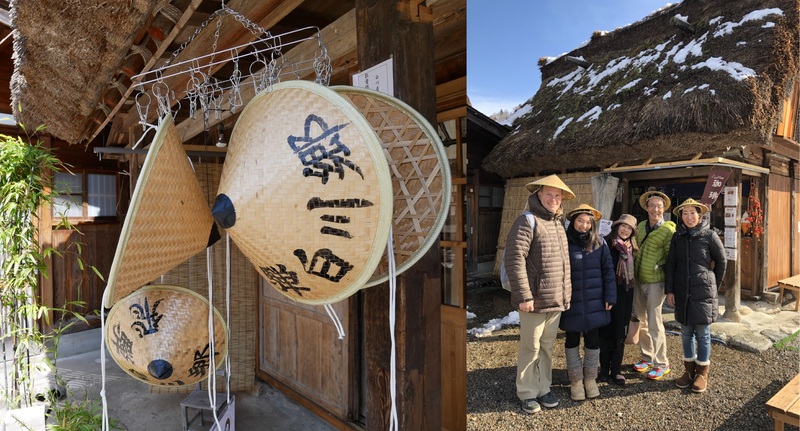 Creating a community made guidebook for the Shirakawa-go Light-Up Event! Funded 1,034,500yen	(About $9724.3) The target amount is	$9400	This is an All or Nothing project. 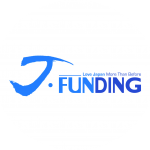 This project will be funded if the amount of money raised exceeds its target amount. One of the most visited places in Japan is Shirakawa-Go. Even though the village is home to about 1700 people, about 1,700,000 come each year! What is even more, when it comes to the amazing Light-Up event, 8000 people come every day! This year in order to help people have a better time while here, we've decided to do a few things! One thing which is the main focus of this project is dealing with the lack of information about the area during the event. This would include where to eat, what things might people not see, or what to do during your free time before the start of the event. We decided the best way to help deal with this problem by creating the Shirakawa-go Light Up Event Guidebook! 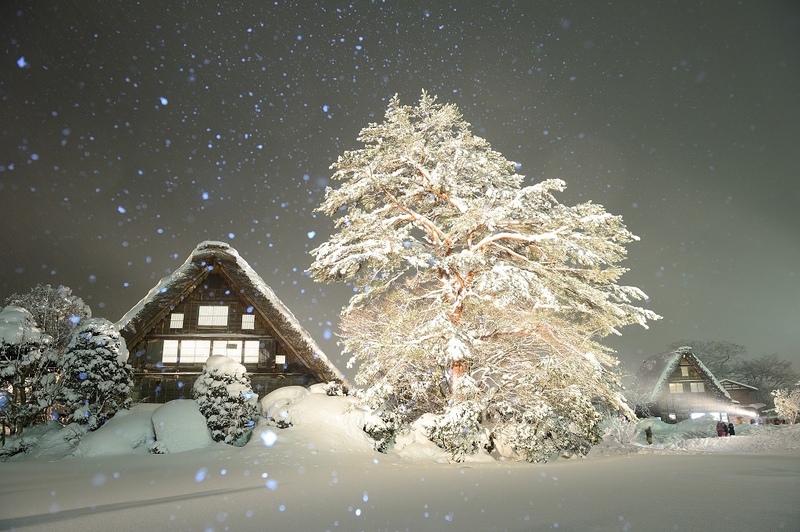 Introducing the Shirakawago Light Up Photo Contest! Before we started the project, we wondered what we might do if we were able to successfully fund the guidebook and what we would do with any extra funds. A few ideas came up but one that we really liked was the idea of a photo contest! When we were able to fully fund the project, we decided that we put things in motion to also create this first time event!! We will have three different categories split into 2 subcategories! The categories are "Beautiful"・"Impressive"・"Creative/Unique"! Each category will be split into "Camera" and "Phones"! We will be running the contest from the start of the event to two weeks after the event! For those that aren't able to go this year, we have added a return that will allow you to enter your picture into the contest! Please give it a look and back it so we can create a really amazing event for 2019! You can find the return here! Creating a guidebook to help people enjoy the Light-Up Event! 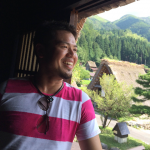 Hello, I'm Yuya Fujita and I coordinate with the Shirakawa- Go Tourist Association, and my own company Tabi Job. 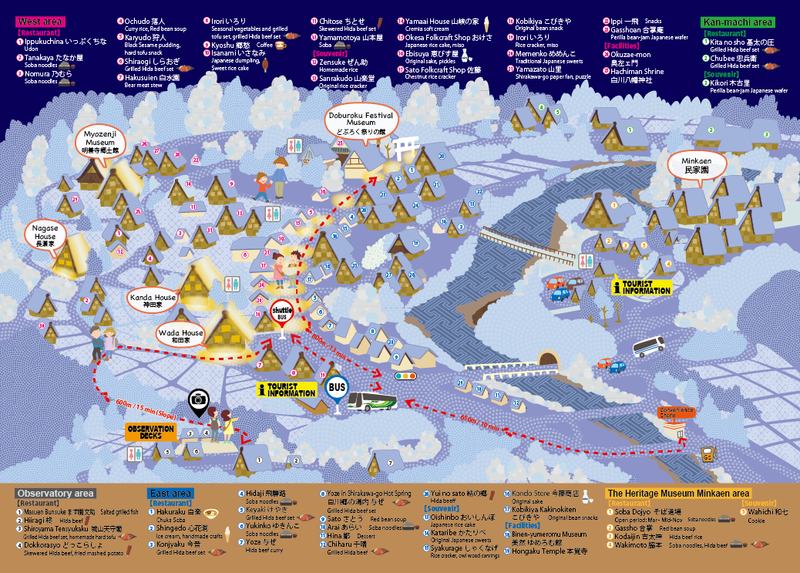 The Shirakawago Light up event is an event that has been running for over 30 years! This year, Shirakawago has decided to do something a little different to previous light up events! We’ve decided to create a guidebook to help with a few problems that many people come across while attending the event!! One of the big problems is that during the event, many of the shops change opening times and some aren’t open, some areas are off limits and some become open and so on. Because it’s different each year, we felt that a guidebook would be the best way to help people enjoy their time here. •What’s the best way to enjoy Shirakawa-Go? •Where should I eat for dinner? •Where to eat hot food? my small amount of free time? •Where is a place that might not be so crowded? 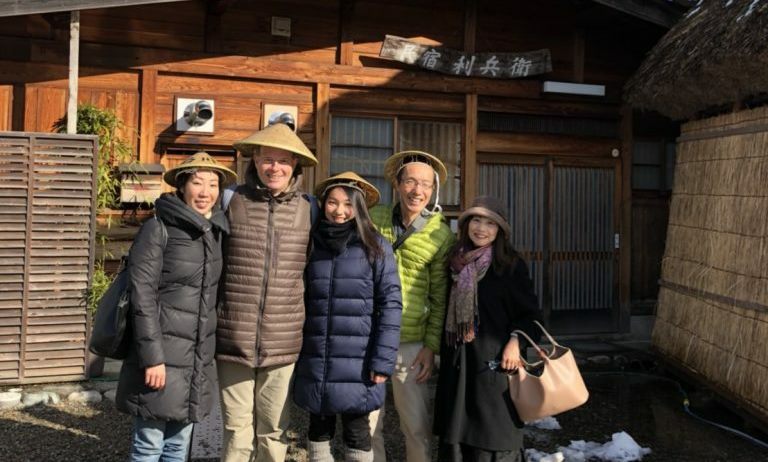 By answering some of these questions we hope to make your visit to Shirakawa-Go, be it your first or fifth, the best visit you’ve ever had! Another great part of this is that we also want to make it a great commemorative item! By having your name put in the back of the book if you back the project, we hope that this guidebook will help you have an experience you will never forget! The current design we are thinking of is the following and we plan to match everything to fit perfectly with the map that will be given out! 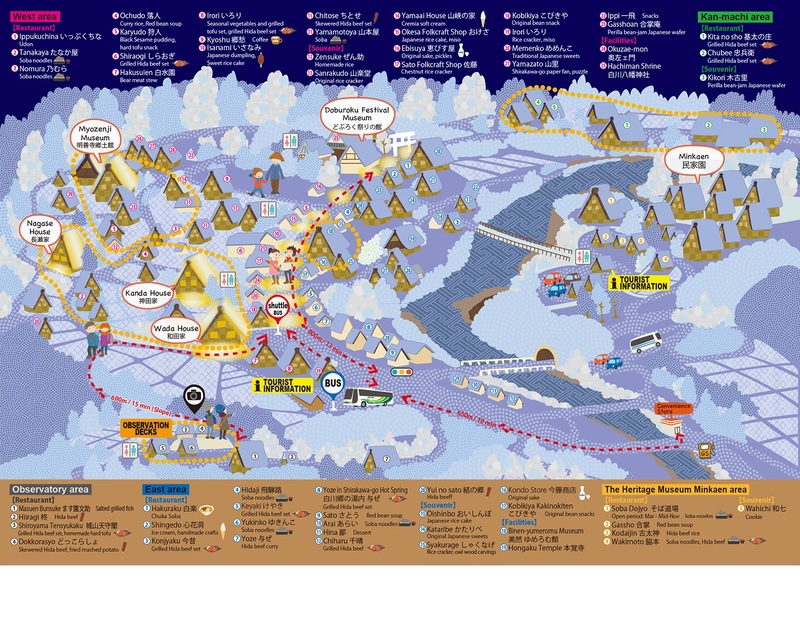 We hope to make this the easiest to follow guidebook ever! We’re trying to design it so it fits in with the map that we will be handing out to those that come to the event! In previous years we’ve given out a rather confusing map, which honestly wasn’t very appealing. This time though we’ve come up with a new more eye pleasing map that hopefully everyone will love! We plan to put this inside the guidebook as the first two pages so that you will always have it with you! By doing so you should be able to keep it for a long time! 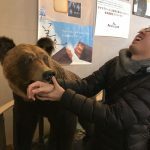 As a final point, due to the low temperatures we experience here in Shirakawago during the event, it can hard to stop and think about where to go, With this guidebook, it will hopefully make it much more easier to decide on what you want to do next! 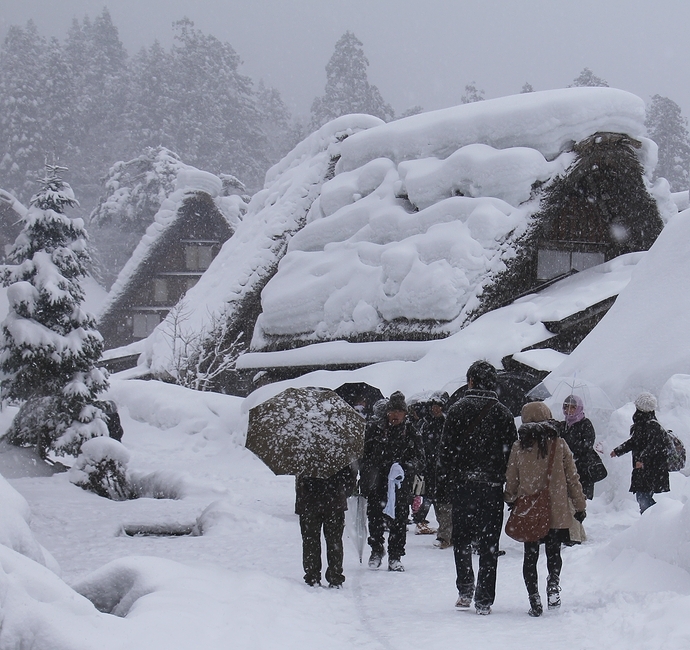 Shirakawa-Go: A World Heritage site that changes depending on the season! 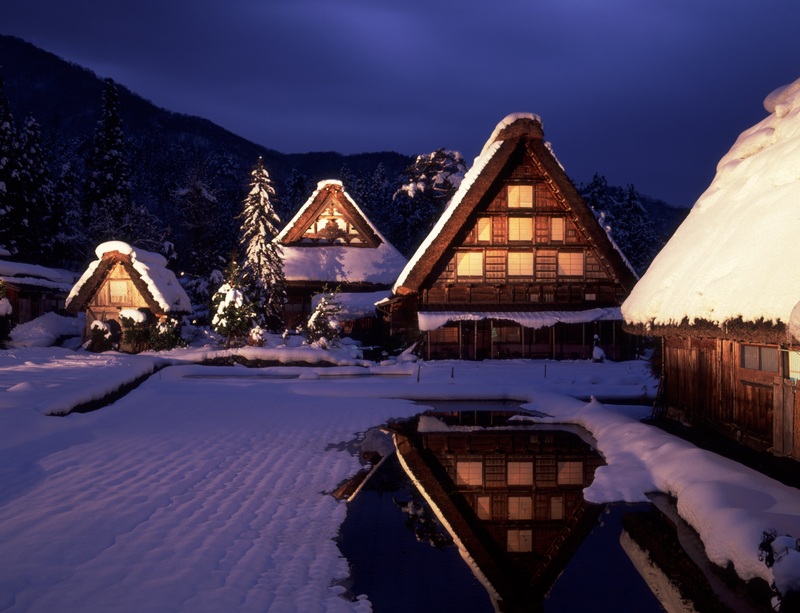 Shirakawa-Go is a beautiful village in Gifu Prefecture that was designated as a World Heritage site in 1995. It’s incredibly difficult to convey how amazing this area is, and how much effort is put into maintaining the fascinating Gashozukuri Minka (Thatched roof house). Today these buildings bring 1000s of people each day to Shirakawa-Go. But with this huge amount of people problems arise. The Shirakawa-go Light-Up Event is an event that is held every winter. Back in early days of the Light-Up event barely anyone came, about 100-200 people! Now with the help of both the World Heritage status as well as the early help of mass media, it’s a massive hit, with close to 10,000 people coming EACH DAY of the event! With this many people, long queues form and in the coldness of winter it can be uncomfortable. 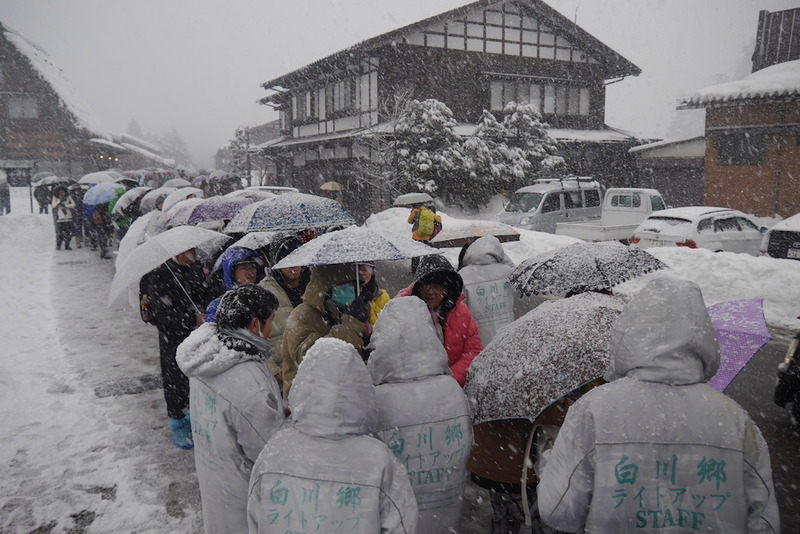 The Tourist Association has from this year had to start a reservation process (more information can be found here) to help deal with the amount of people! Because of this, hopefully we can limit the number of people to a manageable amount and make it more enjoyable for everyone. The main return for this project will be the guidebook itself! We want to put as much as we can in to making the perfect guidebook for everyone, so to accommodate for this, we’ll be making this guidebook available in 3 different languages! We also wanted to make it something that will help you remember your time here! o	1 Shirakawa-Go guidebook ready for collection when you come visit us. o	Data of the guidebook in PDF form for use on phones. o	Name put in the guidebook itself! 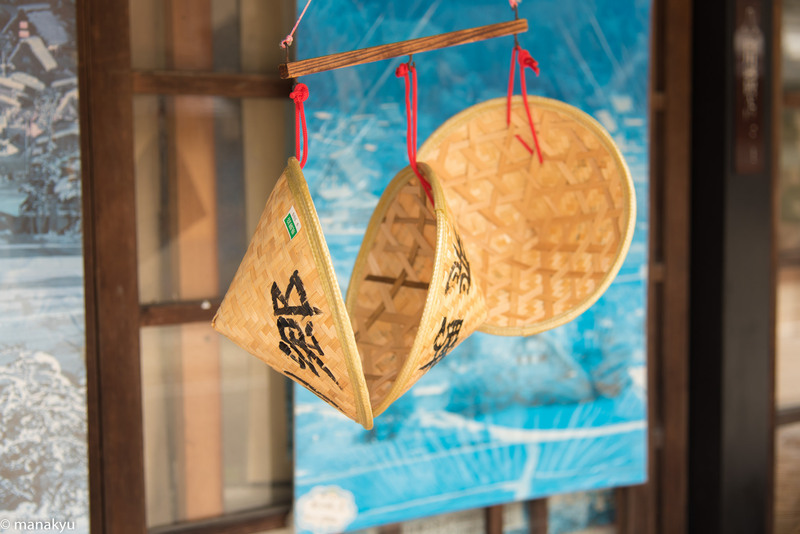 The 2000 yen plan and 3000 yen plan has the extra bonus of getting the chance to rent special traditional hat! Perfect for blending in with the local scenery and also makes great pictures for social media! o	1 or 2 Traditional Hat rental ticket. 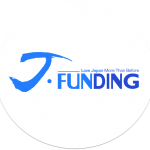 Our last plan is the 5000 yen plan. This plan has an special extra addon! You can rent for the day a whole traditional snow protection outfit! 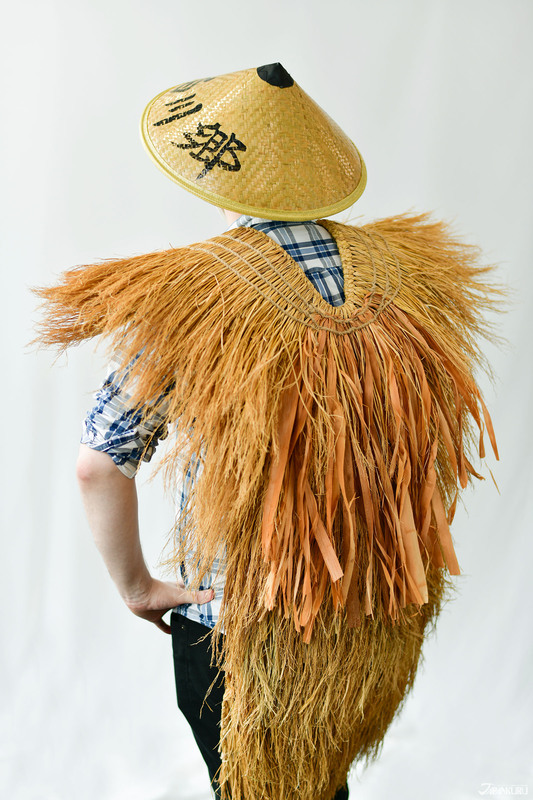 Go back in time and try out the special Japanese garment that many early Japanese people used for the day! These are limited to 3 on each day of the light up event, so back these returns quickly or you may lose out! o	1 Traditional Hat and Traditional Garment rental ticket. We have one more special plan! This year we will be holding a special photo contest! 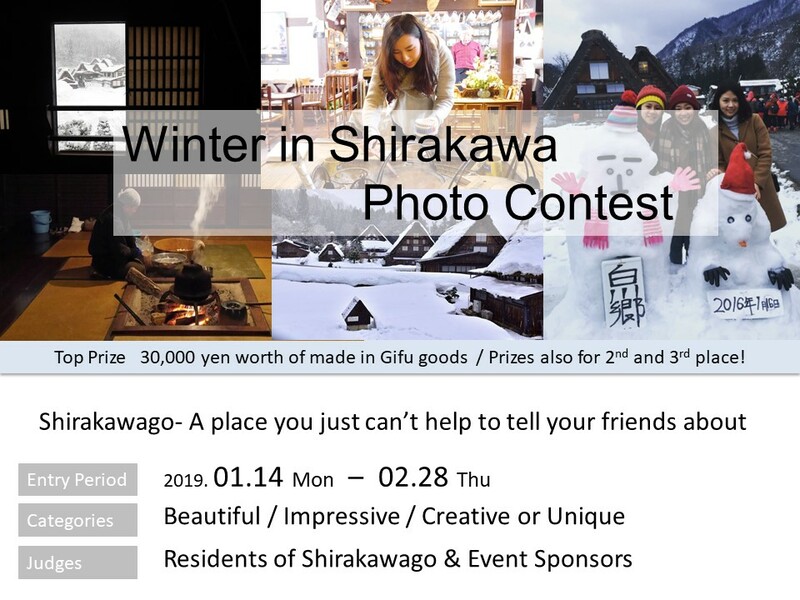 This photo contest will be focused on not just this year's winter in Shirakawa but also past winters in Shirakawa! We'll be sending those that back the project at this price an invitation where you can enter your photo for a chance to win!! As well as this your name will be put into the guidebook! If you've been before then this is a great return for you!! The main cost that will the translation costs as well as the printing cost. In order to give out a guidebook that is of the highest standards, we need to be particular about how the translations are handled as well as the quality of guidebook itself. We don’t want any of the backers that help create this project to be disappointed in the final product! Each book will be a 16 page B5 sized booklet made out of 110gsm gloss paper with all the pages being in full colour. How you can get tickets for Shirakawago! From October 10th, you will be able to purchase tickets for the observation deck as well as parking space for the day! This is one of the only ways that you can participate this year! This is due to the amount of tourism that the area gets! These tickets are first come first serve so make sure you book quickly! For more information and links to the tickets go to Gassho-Travel . I entered a trading company straight after graduating. I was able to travel and was fortunate enough to be able to spend some time living in China. But after returning to Japan, I realized that people were living in the now. When it came to local areas, there was a feeling that because they couldn’t immediately see anything to do, there was no point in going. From there I felt that I should try to do something to bridge this gap and so I left my job and created my own company! After visiting many different places, I came across Shirakawa-Go and after volunteering for the first time at the Autumn Doburoku Festival, I felt immediately attached. After consulting with the tourist associations, I decided on focusing my work in that area. 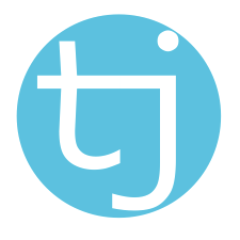 Tabi Job is a company that looks to bring in tourists to Gifu and create an enjoyable local experience! We look to bring foreigners in and have them find places that they may not think of participating in! 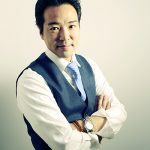 Through this, I set about helping Shirakawa-Go becoming even more attractive to foreigners, as well as help dealing with the lack of information available. I want to make this project a success, and hopefully if we can, after this project is successful, maybe look at making a longer guidebook focused on the other seasons! I hope that you can all help us reach our goal! Thank you so much for your time! Hi I'm Yuya! I'm working with the Shirakawago Tourist Association to bring to the visitors during the Light Up Event an amazing new guidebook! I hope that you can back and share this project!! o Name put in the guidebook itself! 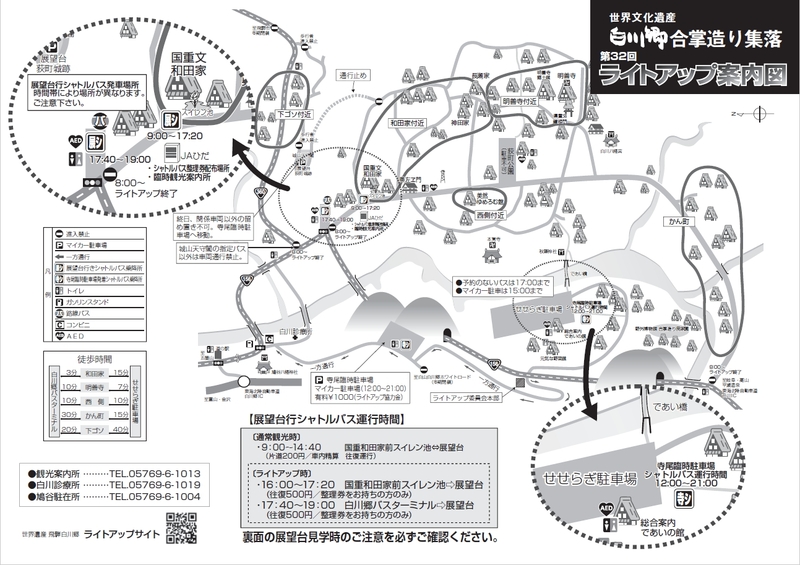 ※The guidebook will be available for pick up when you arrive in Shirakawago! 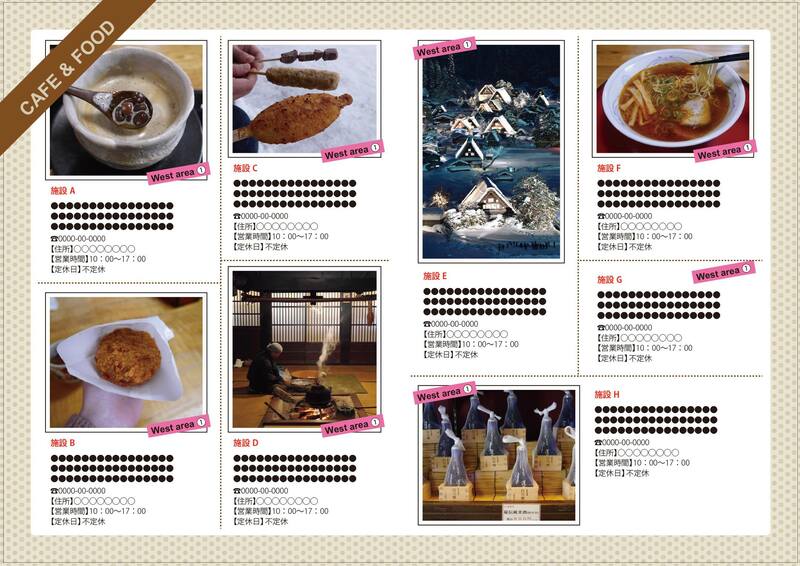 ※Please remember to take the voucher necessary with you when you go to pick the guidebook up! ・How will you get to Shirakawago? ・If using a tour company which one? ・Will you stay overnight or go back the same day? ・If staying overnight where will you stay? Choose the date you'll be going! o	1 Traditional Hat rental ticket. o	2 Traditional Hat rental tickets. Get the guidebook data in PDF format which also includes the cute map, and learn more about the area! By backing the project you’ll help the Tourist Association create a guidebook that will help people that come to area and back this project! Get the guidebook delivered to you! which also includes the cute map, and learn more about the area! By backing the project you’ll help the Tourist Association create a guidebook that will help people that come to area and back this project! For this return, we want to give people that have been to the area but can't go this time a special return! For the first time this year, we're holding a photo contest online! By backing this return, you can enter the contest and send your photo in for our consideration! We'll have a few different sections for the contest so please look forward to it and get ready to enter your own picture!! ・The organisation's name will be placed into the book!